Maple Syrup, Bacon and Beer. 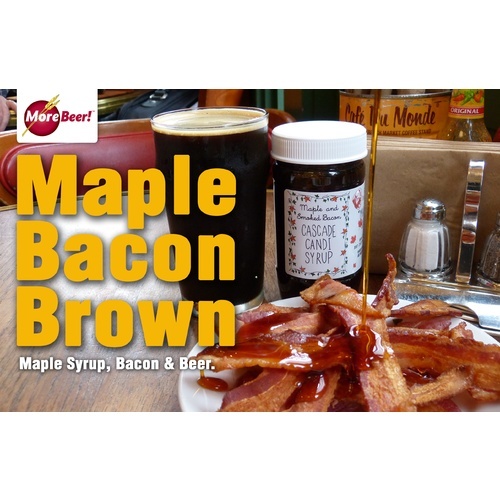 You will be the brewer who makes this happen, maple, bacon and beer together... on tap... in your house. You will be revered and worshipped like the holy grail. Low whispers will trail your every move.... "There he goes, the ONE who makes bacon beer". 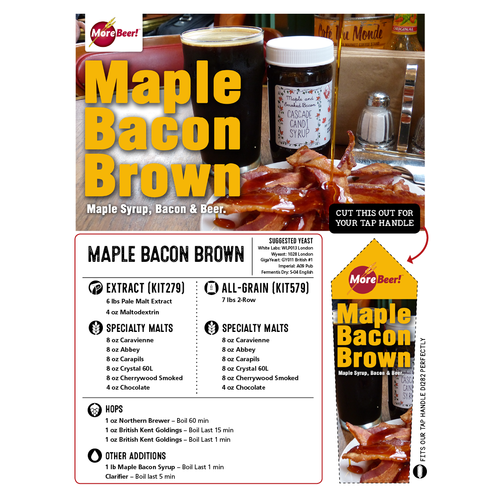 As for us... we had to test maple bacon syrup for six months to get it right. Then we had to brew maple bacon beer for another six months to get the recipe right. It was awful. But don't shed a tear for us... we brew beer like it's our job. Well, actually it is our job. Complexity! This is a brown ale that is amazingly complex, with no one flavor dominating the other. We use six different flavoring malts including, Abbey Malt, Caravienne, Crystal 60, Carapils, Chocolate, and Cherrywood smoked for unmatched depth. On that amazing base we add one pound of our out of this World Maple Bacon Candi Syrup. To make this syrup, real smoked bacon is cooked at high temperature in artisanal small batches of liquid candi sugar. We then finish the beer with a couple ounces of East Kent Golding hops that seamlessly blends in earthy, floral characteristics and adds the final dimension. With its amazing combination of rich, subtle flavors and mild bitterness this is the perfect beer to have on tap when the weather turns a bit chilly. This was a great beer! Not over powering, went fast! Calagione's Extreme Brewing Book inspired me to go extreme with this recipe: I doubled it in all respects, and kicked in one and one-half pounds of honey. So with two kits, I still made a five gallon batch. My OG was 1.110 and after a second yeast addition using a starter and stir plate plus a one-minute fermenter oxygen blast, my FG ended at 1.030 and a 10.7% ABV. I got great comments on the richness of bacon and smoke flavor. I rate this in the top five of my thirty-odd brews. Adding extra candy syrup as suggested in a previous review would be a good suggestion. I will brew this again, probably as I did this time. 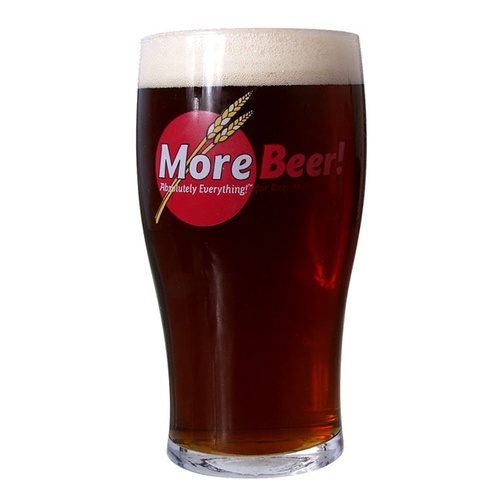 Subtle brown ale, lots of flavour and not overwhelming. This was an easy to follow recipe. produced an exceptionally smooth brown ale. While none of my tasters said bacon they all agreed it was very good; most commented on a "smokiness", several noted the maple; I found the maple very subdued which I was hoping for. Would definitely brew again but would recommend 1 additional candi syrup if you really want a pronounced flavor. Side note- I added syrup at flame out, perhaps to primary would be wiser...comments welcome please because I will make again. Is it wrong to drink this with breakfast? Bought this when it was first on sale, a nice smooth brown ale, with a very balanced bacon taste. It is not over powering, it is the perfect blend of beer and bacon.